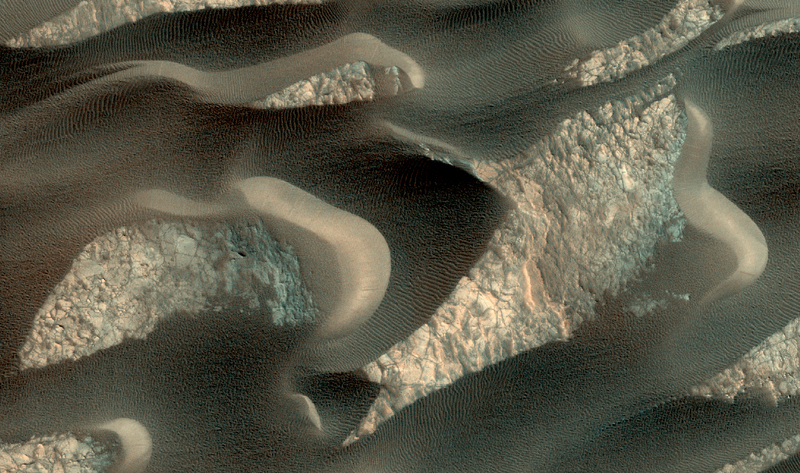 In this image many sand dunes are visible. 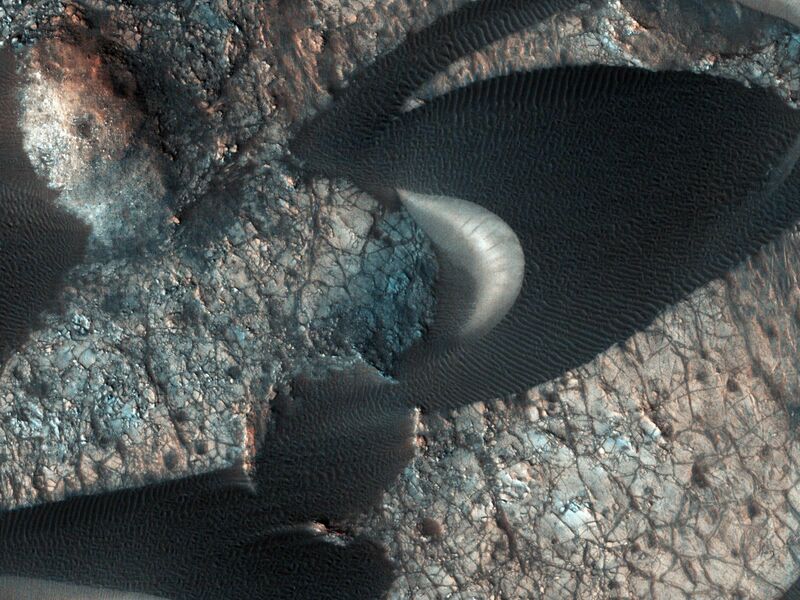 They have an elongated crescent form and are called "barchan dunes." They are formed by the continuous action of the wind, blowing in the same direction, giving this particular shape. The orientation of these dunes tell us that the prevailing wind blows from the right to the left (east to west). 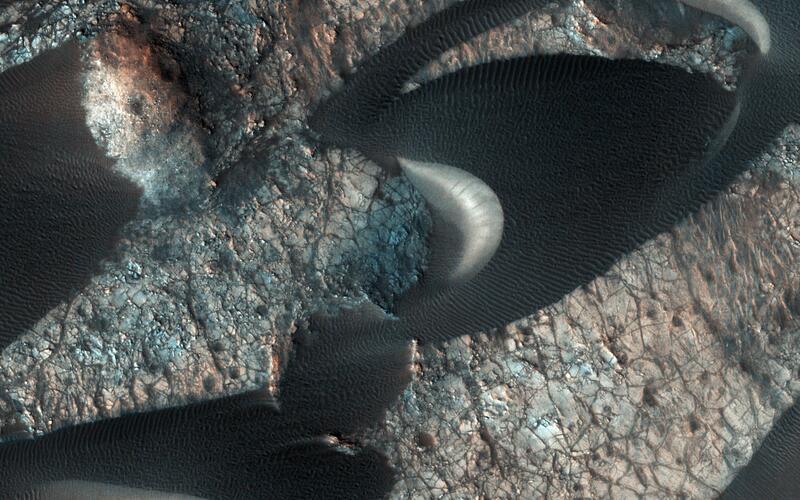 The wind is continuously moving sand grains up the longer dune slope, towards the top. The small ripples on the slope are caused by this movement. When the sand grains arrive at the top, they fall down the steeper and shorter slope, which as a consequence, has no ripples. 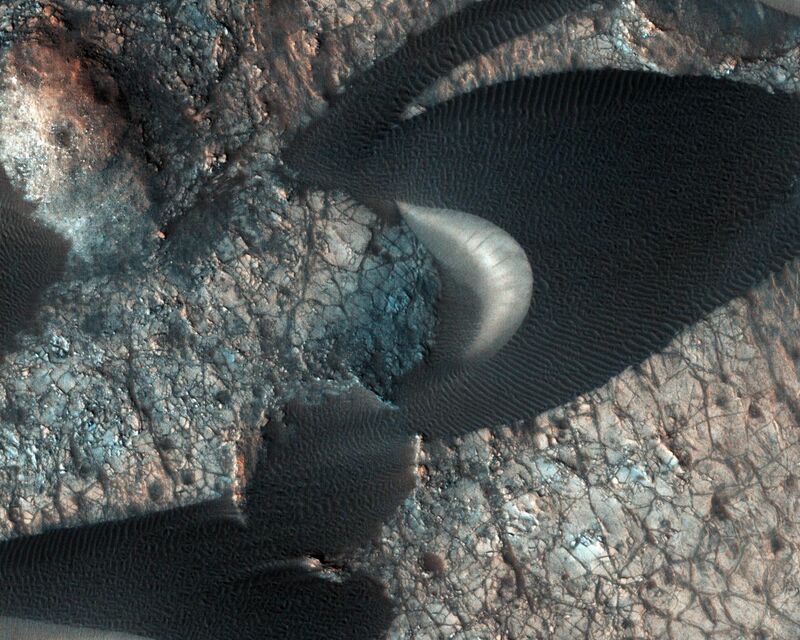 It is this gradual sand movement that causes the dunes to slowly move over time. The map is projected here at a scale of 25 centimeters (9.8 inches) per pixel. [The original image scale is 27.3 centimeters (10.7 inches) per pixel (with 1 x 1 binning) to 54.5 centimeters (21.5 inches) per pixel (with 2 x 2 binning).] North is up.